Let’s hear it for the redemptive power of the third way. There is a lot to be said for finding a crafty solution that helps navigate a sticky situation without being sucked into the vortex of all-or-nothing. The best answer is often found in the center. You have to respect leaders who reject the false choice between extreme positions, think outside the box and come up with a sensible alternative — even if it angers hard-liners on both sides. These are rare qualities these days, when folks on every side of every issue are encouraged to pander to the mob and no one wants to give an inch in any direction. Which brings us to the tale of how the “Aztec” dodged extinction and lived to fight another day near the sunny beaches of Southern California. Notice I didn’t say “mascot.” That word is off-limits, under the accommodation. Instead, the image of an Aztec warrior will be treated only as a kind of bold and inspirational “spirit leader.” And the nickname — i.e., the “Aztecs” — will be preserved, which is just as well since the moniker appears on everything from buildings to sweatshirts to coffee cups. It’s all about preserving dignity. What is called for is a “much more dignified and appropriate demeanor” for the Aztec, interim university President Sally Roush told The San Diego Union-Tribune. Ironically, preserving dignity is also one of the things that protesters insist has been driving their cause since 2000. That’s when the Native American Student Alliance first raised objections about the university’s mascot, Monty Montezuma. That’s the third way. It’s also the right decision. But I hope SDSU offi cials make the effort to understand what this controversy was really all about. 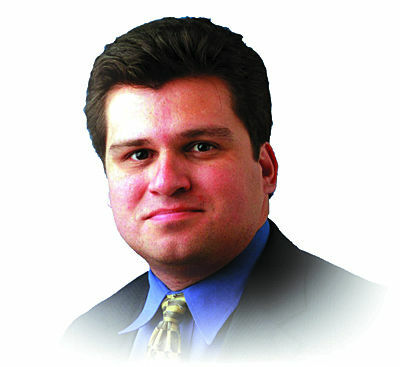 Ruben Navarrette is a columnist for the Washington Post Writers Group. His email is ruben@rubennavarrette.com. His daily podcast, “Navarrette Nation,” is available on apps.